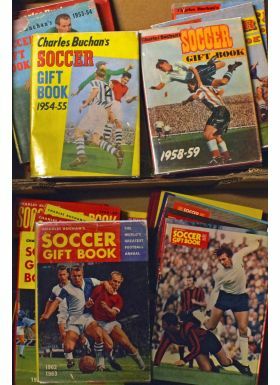 Collection of the iconic Charles Buchans Soccer Gift book annuals from 1953/1954 x 2, to 1974 (complete set) together with Charles Buchans Spurs Gift Book (Simon Inglis) plus The Best of Charles Buchans Football Monthly (Simon Inglis) x 2. 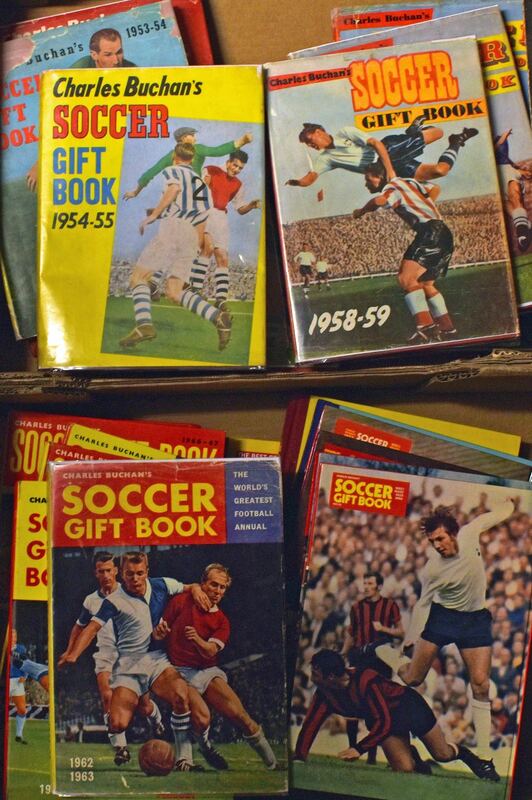 (Total in 2 boxes). Condition varied, mostly good, worth a view.